Administrative and Public Law, Appeals, Commercial Law, Company Law, Constitutional Law, Engineering and Construction Law, Equity, Partnerships and Trusts, Injunctions, Insolvency, Insurance, Licensing, Mining Resources and the Environment , Personal Injury, Professional Services, Real Property, Trade Practices, Wills and Probate, Workers’ Compensation. Nikolai served as Associate to Justice Angel of the Supreme Court in 1998 and was admitted as a legal practitioner in August 1999. He was employed as a solicitor with Clayton Utz and as a senior associate with Purcell Lancione Cureton and Minter Ellison acting predominantly in government and commercial litigation matters. Nikolai was called to the Bar in June 2004. 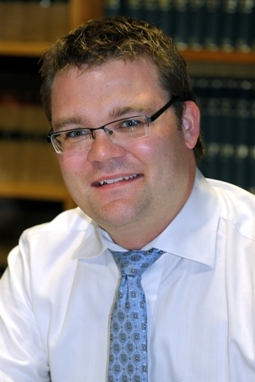 He is a member of the Northern Territory Law Reform Committee and the Valuation Board of Review Panel, a Hearing Commissioner under the Business Tenancies (Fair Dealings) Act and he lectured in Civil Procedure at Charles Darwin University in 2004 and 2005.